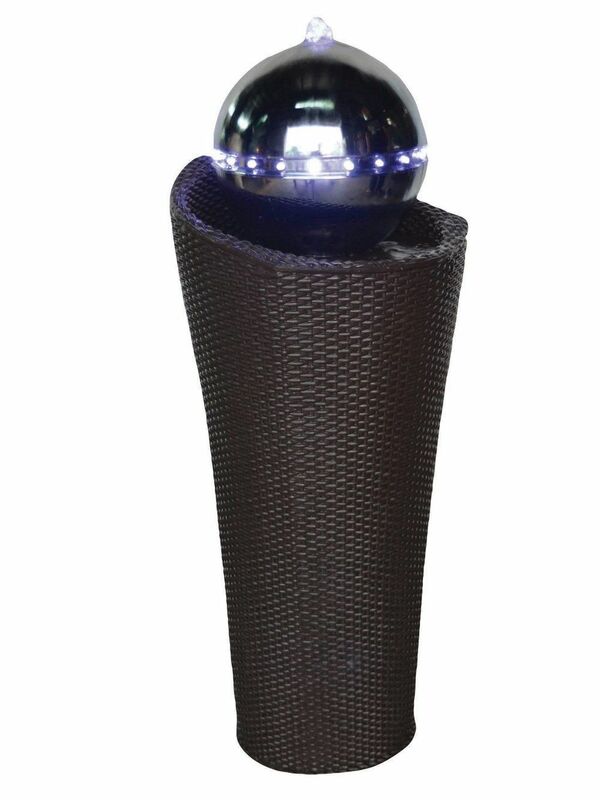 The Sardinia Rattan Column by Aqua Creations is a stunning contemporary water feature. This fountain has a resin rattan effect base and is fully self contained, therefore no digging is required. 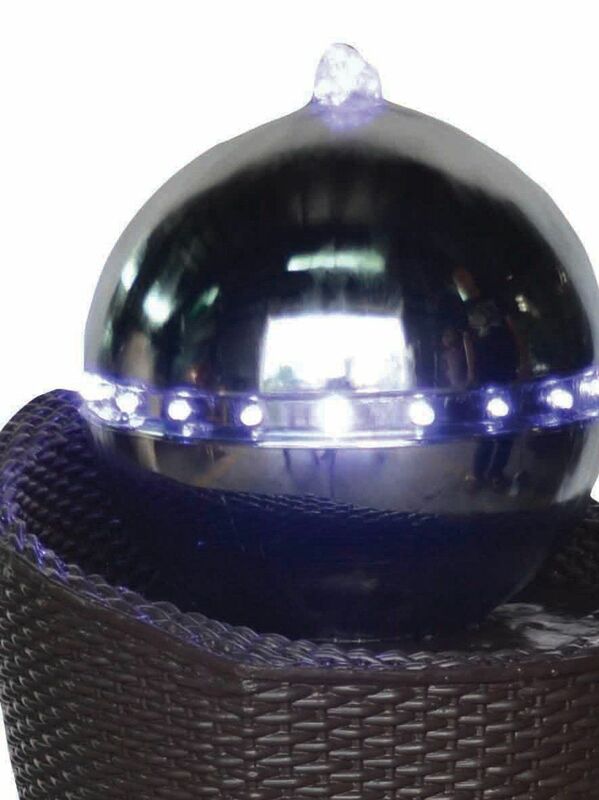 The feature is supplied with a cluster LED light which sits in the top of the resin ABS sphere and an LED light ring that is wrapped around the middle of the sphere. The lighting on this feature gives a fantastic effect in the evening / night.